Just in time for the London Design Festival, Whalar had the chance to immerse itself in a true British Legacy brand. Tracing back to 1810, Heal's represents a contrast to Whalar’s young history. 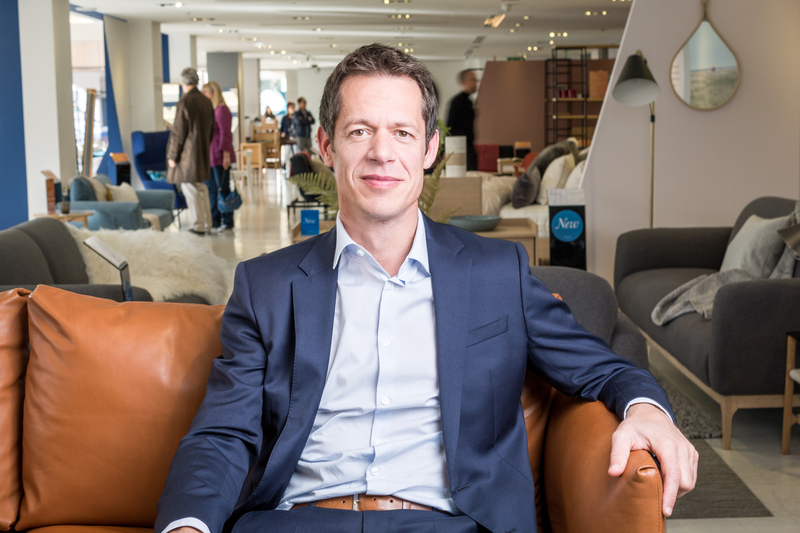 We spoke to Hamish Mansbridge, current CEO of Heal’s, at their famous Flagship Store in Tottenham Court Road. 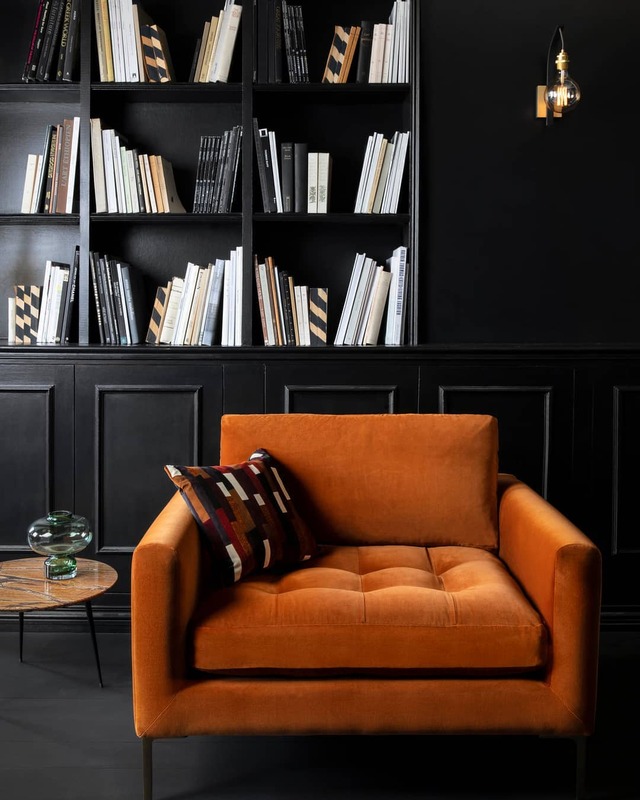 As a heritage business, Heal’s has endured unimaginable fluctuations of the commercial industry, from the Great Depression to World Wars, it has continued to market its exclusive brand and remain an intrinsic element of British retail culture. However, a rich history alone cannot be relied on to flourish in this dynamic, digital age. In this exclusive interview, Hamish highlights the need to honour both their past and evolve into the future. 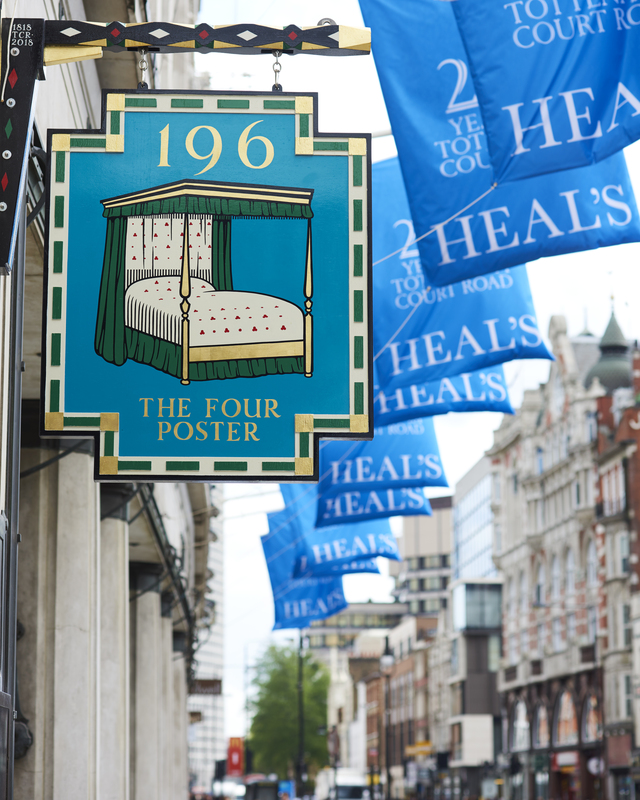 Heal’s is a British Heritage Business, the flagship store on Tottenham Court Road is entrenched with history; how do you translate your tailored and bespoke shopping experience you have here, online? I think it’s really important that we are performing the same role across all of our channels. Whether that’s here at our flagship store, at our smaller branches, or online, we want to provide a unique experience. 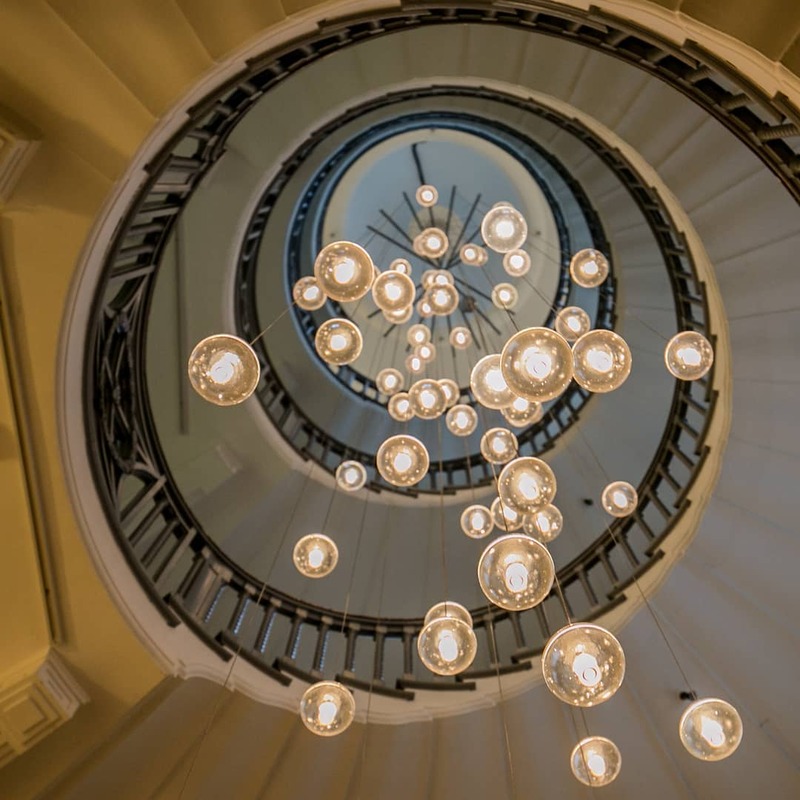 In Tottenham Court Road, our staircase is the most photographed staircase in London, we have a Timothy Oulton room as a concession, we have the largest Vitra showroom in the UK and the only Muuto showroom in the UK. Then we have other, smaller footprint stores which, by their very nature, can only ever be a curated collection of what we do here. Of course, there’s online, other forms of social media, etc. I think it’s really important we have the same message and the same values exemplified in everything we do. You can never replicate the experience of coming into Tottenham Court Road - it’s fabulous. But, you’ve got to try and portray those same ideals, which all comes down to our love of design. The design is at the heart of absolutely everything we do and we're always trying to get that across. Of course, it’s more of a challenge online. But we try and do everything we possibly can so that fits the same criteria that we have in the store. Also, a lot of our customers will have done both anyway. We have lots of evidence to show people come into the store before they buy online or the other way around. We're here to nourish the journey before that final decision is made. I’ve heard Heal’s is now marketed as an ‘Ecommerce company with showroom stores’. Does this mean there is a greater brand focus (through installations and concessions) in this store? We have 40,000 square foot here, whereas the next largest is only 22,000 in Kingston. So there are branded areas in other stores, but they’re less overt and obvious concession areas. Here, we have specific rooms that are for brands. Although I’d like to think people come to see the Heal’s brand more than anything else. The brands are there to give an extra layer. Designer brands are important to work alongside as certain products and certain iconic pieces are impossible to replicate. But we acknowledge and embrace that. There’s a balance, with more of a focus from a business point of view on developing own brand products to ensure our identity is maintained. I’d call Tottenham Court Road (TCR) a Super-Showroom. The others are showrooms because they can only ever highlight a limited collection of all the things we can do. Ultimately, I would describe us as a digitally connected brand with showrooms. 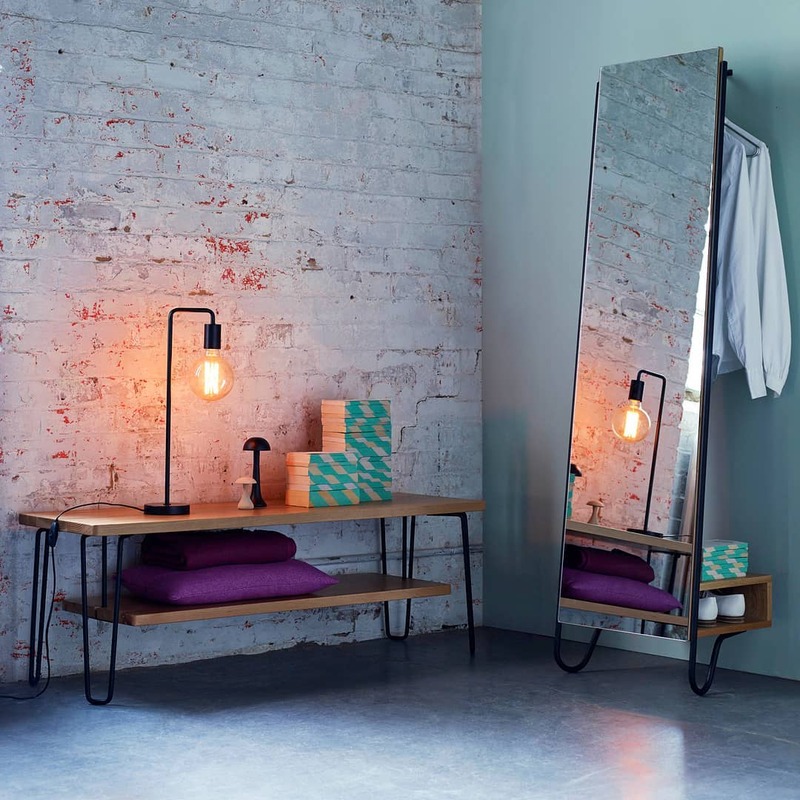 Our showrooms enhance that brand positioning and bring Heal’s to a new audience that we wouldn’t otherwise be able to engage with. How many of your sales now take place online, compared to in-store? E-commerce, as of this year, is our biggest store. The showrooms together make up more sales. But as an individual, e-commerce is the largest - it's now roughly 37% of our total sales. TCR is by far and away our biggest shop. Broadly speaking, you could say - TCR is a third, online is a third and the other stores make up a third. In terms of the digital landscape, it manifests itself within the international. Anyone can access it from anywhere. How do you see the future playing out between national and international corporations? 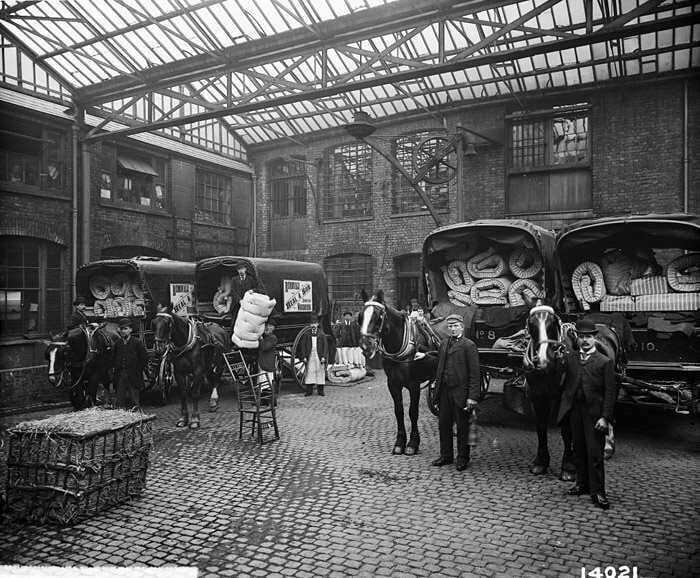 For instance, how does Heal's react to the increasing influence of companies such as Amazon? I think that's a really good question. I would like to think we would continue to provide a user experience that is second to none. And therefore people will continue to come to us as their vendor of choice because you're never going to be able to replicate that on an international platform. Amazon is a brilliant retailer, and their fulfillment is fantastic, but it's not inspirational. No one is going to Amazon to think about style, or how they might dress their home. They're going to Amazon to compare pricing and get an incredibly efficient fulfillment process. We have to be able to compete on those sort of ideals, but fulfillment of furniture is extremely difficult - often it requires two people, physical installation or construction. We don't sell anything flat packed, or that the customers have to do themselves. Any piece you buy from us is fully assembled, put in your room of choice and then all the packaging is taken away. You're not going to get that experience from Amazon. So we have to continue to invest in being a bit different and a bit special so that our costumers can differentiate us from these incredible providers. Again it comes back to selling that tailored and bespoke experience. Heal's are very well known in a traditional sense. How do you maintain your known demographic while trying to attract and generate a fresh audience interest? I think we're very fortunate that people tend to love our heritage. People often hear, 'my Gran's got a Heal's table' or 'My parents have a Heal's bed', or similar. And they grow up loving us, and I think that's terrific because people come back to us. Which is crucial because the regularity of purchase is not as high. We produce relatively expensive pieces of furniture that will last a very long time. By its nature, we have a very loyal following but these people are not shopping that often. So the new customer is incredibly important. We need to keep instilling these virtues, so our new customer can see the culture behind the brand. Blending that heritage, with that more nimble, cutting-edge era, is fundamental to our success, as is having the retail skills to do so. My next question would be; how do you modernize that narrative? We have these 200 years of history, I regard it as both a responsibility and a source of enormous pride. But in both cases, we have to continue to evolve. Sir Ambrose Heal, we were discussing before we started the interview, was our leader for most of the first half of the twentieth century. Knighted for his services to the design industry. He had this catchphrase which was; If in doubt, Innovate. It's incredibly relevant even now, he was unbelievably ahead of his time. He brought in things people thought would never sell, his ranges were described as 'prison furniture'. It was such a change from what people were used to seeing but we knew it would work. He designed some beautiful pieces that are still fetching high prices today because of their collectibility. But he would always want to go forward and do something different and be keeping up with the times. So we try and stick to that mantra now, and that quote is all over our offices to this day. Occasionally people don't understand how much we've evolved. But nothing is more gratifying than when people comment on it, when people say 'Heal's seems to have found its place again', which is fantastic to hear. We now develop products that are relevant. It's fine to rely on someone's nostalgic opinion of Heal's, but what's really important is to sell a product that's relevant to them, so they can work with their life and step-up. So developing products that work with small spaces, and aren't just massive sofas that fit into wonderful sized rooms, you need to provide a product that's relevant to the multi-generational consumer. The whole social media element is something we've started to embrace. It's a world of opportunity. We're doing it off a relatively constricted budget, therefore it's about picking the right people to work with. We're very fortunate people want to work with us because we have the cashet of the name. Thus far, all the people we have worked with on social media are doing it because they want to. For instance, the project we're doing right now; the ‘Spaces' campaign, which is a celebration of pioneering women in London and is something I'm both fascinated and very proud of. It's something completely different, by taking women who don’t always have an obvious relationship with design, yet are able to curate their space within ours. We have a singer, a cook, an author, a jewelry designer and a colourist. They create their windows and bring their followers with them. We also collaborated with the very talented Marina and the Diamonds, which exposed us to her reach of over 1 million through this initiative. It doesn't appear as an ordinary collaboration for us, but it looks fantastic - for instance, there's been lots of engagement with the sofa she used in her window scene, which draws attention to a genuine Heal's piece. It’s partnerships like this that are us finding new ways to talk to the digital generation, that perhaps we wouldn't have done a few years (maybe months..) ago. Completely, when Marina posted that picture of her, it got over 160,000 likes in one day. When we posted the same, it got a couple hundred likes. It just proves the difference it makes when you can collaborate with the right creatives. The difference is just incredible. It just highlights the difference between traditional PR. Regarding the rise of social media advertising - has it affected how you attract brands and designers to you? I ask because for a new brand or designer, their first port of call is to get on social media - so I was wondering in this age of self-promotion, how it has affected a legacy brand such as Heal's. Probably not as much as you might think, if you see pieces online you will follow up. You might see a piece in a blog or an influencer piece, and we have reached out in that respect. However, most of the contacts are still coming via traditional routes. For instance, this week is the London Design Festival, and there are tons of things going on. They'll all be backed up via digital PR. However, if we're honest, what remains most powerful is a physical presence of design - actually going out and interacting with a new piece, imagining how it could fit in your home. I was at Decorex yesterday (one of the shows at LDF) and it's quite traditional in the way it puts itself across. That's not to say it won't develop and evolve, I'm sure it will, but right now the traditional methods are still prevailing in that sense. When you form a new collaboration with a brand or designer, what is your initial reaction when marketing that new relationship? Now, social media. Instagram, Facebook then announce it to press. Work directly with the new label to convey their narrative and the basis of our collaboration. Then work with their teams to discuss Heal's brand to them - it's very collaborative on every level. However, I would stress, the development of our own brand is, to my mind, more important. Without that, we're not going to succeed. Particularly in the digital age, there's so much competition with Brands that having your own brand is fundamental. 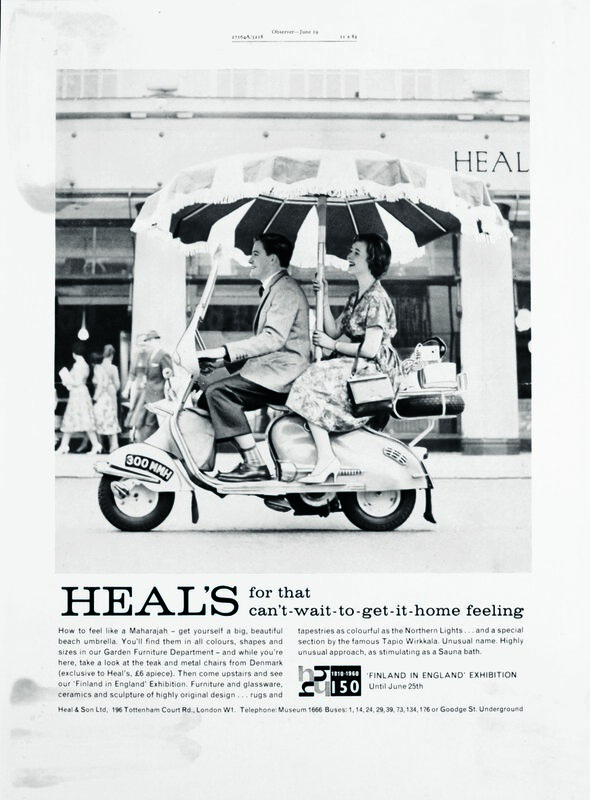 Heal's was always its own brand, I don't think we sold branded products until the 1920s. Before that, everything was own-brand. In a funny way, we're almost trying to go back to our starting point. Saying the Heal's brand is the most important. While those other brands add this layer of excitement, complexity - call it what you will - and when we bring in new brands it is very exciting. Especially if they're not available elsewhere, which is something we always try to do because it gives us the exclusivity and generates more press excitement. Prioritising exclusivity. Do any other retailers sell your brand? No, they don't. Although it's an interesting one, we have been approached as a possibility of selling via other retailers. We have not chosen to do that at the moment, because we are so protective of our brand, but it is a possibility in the future. Would Heal's ever consider moving into more of an international franchise space? Or would they always remain local to Britain? There's clearly an opportunity for an international franchise, we are a heritage British brand and the world loves heritage British brands. There are all sorts of potential marketplaces you can think of. I've been here for three years, and I want to get this business working better in our heartland first. 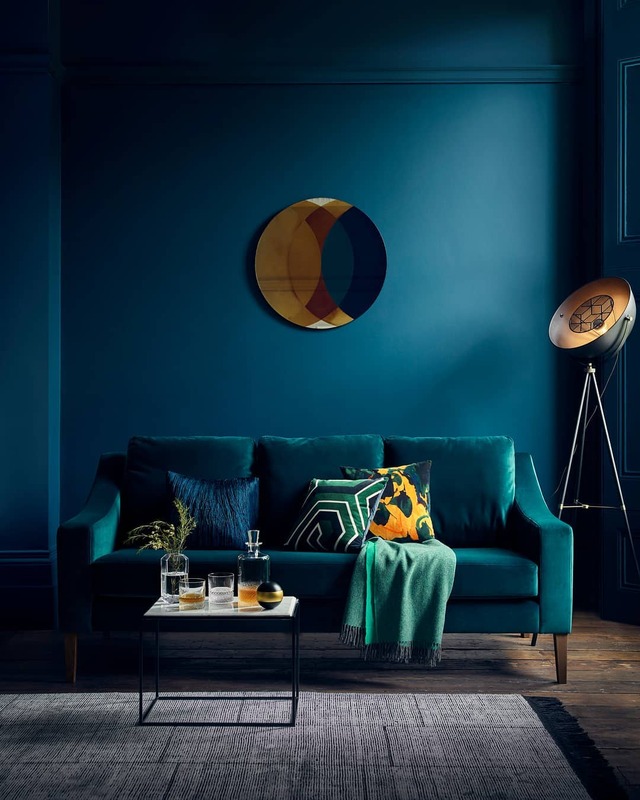 Heal's hasn't made any money for a long time, we're just about back to making money again and I'm incredibly proud of that. I think then you can start looking at other opportunities. Whilst it's not in our strategy to go overseas, it's a clear possibility, it would be an extra layer, an extra bit of excitement that we could easily go after. But, at the moment, I think we'd be taking our eye off the ball. I don't want people distracted. Can you pinpoint one favorite Heal's marketing campaigns? Either from your time or throughout its history. In history, 'Head Over Heal's - I love it. From the 1990s, there were these big billboards showcasing glamorous settings. And the whole Head Over Heal's thing was just 'I'm so in love with it, I'm head over heels in love with my piece'. Just a very powerful, the obvious pun - the simplicity of it allows it to shine through. In our time, we had a campaign called 'A Love That Lasts' which we put together very cheaply, yet produced a brilliant, beautiful ad. We called in a lot of favours, someone did some music for us from a friend of a friend, which works perfectly for a soundtrack for a campaign which shows how a Heal's piece will last through the ages. It had a woman dressed in 1920s, 60s, 80s and present day but on the same sofa. It reminds me of the Patek Philippe message, 'You never actually own a Patek Philippe, you merely look after it for the next generation'. A beautiful campaign and one that I think resonates with our message. It's an echo of that. We didn't have the budget to go massive with it, we put it on small TV channels, magazines, some billboards in railway stations - that sort of thing. It worked in a slightly understated way, but I just thought it was lovely. I also really love the 'Heal's Have It first' campaign. Which goes back to the 1960s, and goes directly back to the branded element. In the 1960s there was a time of massive growth for us, we extended, we had a secondary brand called 'Buzz', which was aimed at younger markets, first-time buyers, etc. 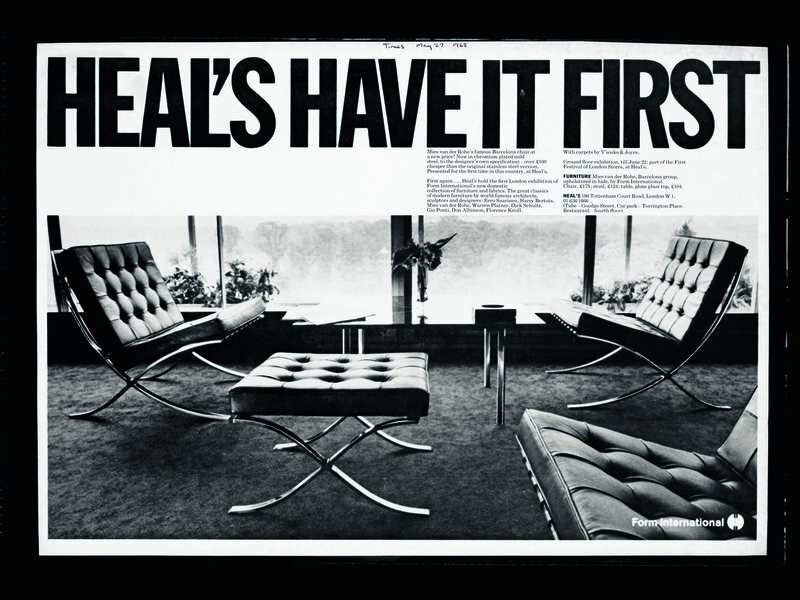 And 'Heal's Has It First' is all about having designer brands like the Barcelona Chair, in and before anyone else. There's the 'I can't wait to get it home' - which is just so memorable, people driving along with their 1960s car with furniture sticking out of their car. We worked with some really good advertising agencies in the 50s and 60s - and that was the Ambrose Heal effect, he was the first person to really acknowledge the power of PR and marketing a brand. He developed the brand as we know it today, pieces like 'The Four Poster Bed' remain a symbol of quality. Also the advertising of books in the turn of last century, Charles Dickens Great Expectations - we were advertised in that. It's a really interesting history. We're always torn, we think it's an incredibly powerful part of what we are, but it doesn't actually sell in its own right. You need to be able to take that as the backdrop to what makes us great, but then show how we've evolved, and how we're relevant. Predominantly, how we can inspire people in the 21st Century, so they don't think of it as just an old-fashioned brand. Finally, what do you love about (furniture) retail? The immediacy of everything you do. I can make a decision in a trading meeting this afternoon, and it will be in the shops, and online, tomorrow. Maybe even tonight. You do that and you get a reaction. Customers will say 'I love what you've done with that bed' or 'Why don't you try doing this in your window', you get that sort of instant feedback all the time. I just think it's fabulous. If I'm out with friends, and we're talking about jobs, we'll inevitably talk about mine because I have the opportunity to be involved in more interesting projects. But when you bring that down to furniture specifically, I think it’s just a fantastic and beautiful environment. If I'm having a stressful day, our office is right behind the store, and I'll come and walk around the store. You can go sit on a £10,000 chair and just think how lovely it is to be able to have the products you work so hard to market, right there in front of you. It gives me an immediate feeling of what's going on. I think this store, in particular, has something special. Right now, we're sitting in the Café - I think the Café is fabulous - everything in here is made from scratch, we don't have any brought in frozen food, it's all fresh. It's a nice little microcosm of Heal's. A physical representation of your values? Bespoke, unique and quality. Heal's has been around forever, and is definitely here to stay. Follow Heal's historical, turned digital, adventure here.